Based on Charles Dicken’s classic, ‘A Christmas Carol’, Scrooged is a 1988 interpretation starring Bill Murray as the scrooge Frank Cross. Frank is a big-shot TV executive who is about to learn the meaning of Christmas from three ghosts. The film has been criticised for not having enough ‘Christmas spirit’, however, this may be done on purpose to contextualise the story for a contemporary audience. ‘Scrooged’ succeeds in pulling off a humorous and current adaptation of the classic Christmas story, however, it cannot be compared to the traditional ‘A Christmas Carol’. The Movie Club will be screening ‘Scrooged’ on Wednesday 13 December, 6pm sharp at Narellan Library. Tea, coffee and biscuits provided, BYO snacks are more than welcome. Stay after the screening for a short discussion about the film. See the discussion questions to get some ideas. Midnight in Paris is a 2011 film from director Woody Allen. The film focuses on the main character of Gil, an American who navigates his way around Paris with his fiancée. The film incorporates elements of fantasy and nostalgia as Gil mysteriously goes back in time to 1920s Paris each night at midnight. The film presents a visible tension between American and French culture, or rather, the stereotypes that American culture holds of France. Themes of nostalgia, memory, and history are ruminated upon against a romantic Parisian background and this allows for an exploration of characters and of the city itself. With many of Allen’s films set in New York, ‘Midnight in Paris’ is a rich and vibrant departure. The Movie Club will be screening ‘Midnight in Paris’ on Wednesday 8 November, 6pm sharp at Narellan Library. Tea, coffee and biscuits provided, BYO snacks are more than welcome. Stay after the screening for a short discussion about the film. See the discussion questions to get some ideas. ‘Vertigo’ is considered to be one of Alfred Hitchcock’s defining films along with ‘Psycho’ and ‘North by Northwest’. With an intelligent script and intense stylised editing it will keep you intrigued to the end. The film begins with Scottie, a private investigator, who comes to the realisation he has vertigo. Now out of work, Scottie agrees to help his friend Gavin to investigate his wife’s odd behaviour. This leads to a series of tense and unforgettable events. The film is compelling both as a stand-alone story which is mysterious and smart, but even more intriguing to know is that the film is one of Hitchcock’s most confessional. Scottie represents Hitchcock and the way he used, feared and controlled women. An intense look at the dangers of obsession, desire and control, the film is striking in visual effects, particularly the final scene. The themes remain relevant to a contemporary audience, and will make you re-think the roles of men and women in society, particularly the way some can manipulate and ‘mould’ others. The Movie Club will be screening ‘Vertigo’ on Wednesday 11 October, 6pm sharp at Narellan Library. Tea, coffee and biscuits provided, BYO snacks are more than welcome. Stay after the screening for a short discussion about the film. See the discussion questions to get some ideas. ‘Hunt for the Wilderpeople’ is one of those special films which uses humour to make you feel more human, more compassionate perhaps, more connected to yourself and your surroundings. The film tells the story of foster kid Ricky – young, rebellious and habitually rejected. Ricky finds himself in the care of Hec and Bella, an older couple living in a rural area. When Ricky attempts to escape and Hec goes looking for him, what ensues is a nation-wide man-hunt. A fresh and natural dialogue keeps the film away from cliché territory and the New Zealand wilderness adds another layer of meaning to this very human story. The film comes from New Zealand director, Taika Waititi, who also directed ‘Boy’. Waititi is known for creating a strong sense of voice in his films. ‘Hunt for the Wilderpeople’ has a voice, a nuanced voice that is refreshing and original. The film was nominated for 25 awards across numerous international film festivals, including the Audience Award at the Edinburgh International Film Festival. The Movie Club will be screening ‘Hunt for the Wilderpeople’ on Wednesday 13 September, 6pm sharp at Narellan Library. Tea, coffee and biscuits provided, BYO snacks are more than welcome. Stay after the screening for a short discussion about the film. See the discussion questions to get some ideas. Based on a novel titled, ‘Badge of Evil’, the film is an intense story of police corruption on the border of Mexico and America. Narcotics officer Mike Vargas is drawn into the case of a car bombing that occurs on the border. Working with US police officer Hank Quinlan, Vargas begins to suspect the officer of planting fake evidence. Vargas follows this trail of corruption to the displeasure of Hank. During this time, a Mexican crime syndicate are planning an attack on Vargas’ new wife who he thinks is safely hidden away in a hotel on the US side of the border. The film is visual and use of dramatic suspense creates an intense aura throughout. However, it seems Vargas’ wife Susan, is sometimes forgotten in the film. She is pushed into a hotel and terrorised by local gang members, yet much of this and its effect on her character is ignored. ‘A Touch of Evil’ was re-released in 1998 to reflect the director’s (Orson Welles) original version of the film. The initial 1958 release had been substantially edited by film studio Universal. The 1998 edition was re-edited based on notes written by Welles. The Movie Club will be screening ‘A Touch of Evil’ on Wednesday 9 August, 6pm sharp at Narellan Library. Tea, coffee and biscuits provided, BYO snacks are more than welcome. Stay after the screening for a short discussion about the film. See the discussion questions to get some ideas. Part comedy, part road film, part black comedy, part drama, ‘Little Miss Sunshine’ is a film that covers all the bases. It all starts with Olive Hoover, a young girl obsessed with beauty pageants. In the opening scene Olive is seen staring at the television, watching a pageant. We are then shown the rest of the Hoover family: her unsuccessful motivational speaker dad, her overwhelmed mum, junkie grandad, depressed Uncle, and her mute brother Dwayne. This opening scene around the dinner table clearly defines the family dynamic and sets the tone for the rest of the film. The entire family embarks on a road trip to get Olive to a beauty pageant in time to compete. Along the way a series of events unfold, painfully for the characters but entertaining and funny for the audience. What makes this film so great is the acting; all the actors know their characters and you see everything on their faces, the love and the pain. ‘Little Miss Sunshine’ won two Academy Awards for ‘Best Original Screenplay’ and ‘Best Supporting Actor’ for Alan Arkin. The Movie Club will be screening 'Little Miss Sunshine' on Wednesday 12 July, 6pm sharp at Narellan Library. Tea, coffee and biscuits provided, BYO snacks are more than welcome. Stay after the screening for a short discussion about the film. See the discussion questions to get some ideas. 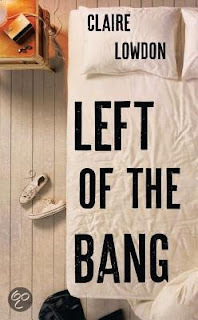 Published in 2015, ‘Left of the Bang’ is a contemporary novel about the lives of young adults living in London. Told in third person narration, the story focuses on Tamsin and her relationship with her boyfriend Callum. Surrounding this central relationship is a series of sub-plots that provides a thorough look at the complexities of a generation. Big themes are tackled in this book: sexuality, adultery, modern family life, war in a contemporary setting. Tamsin is not the most likeable character, in fact she’s quite unlikeable; what keeps you hooked is the rawness of the writing. There is no censorship to what these characters say and do, and it is refreshing to see such an extremely honest portrayal, for better or for worse. Left of the bang is a military term that describes the lead-up to an explosion. This idea is reminiscent in the novel as events slowly reveal themselves and reveal what is to come. Set in the American mid-west, Woody is an alcoholic retiree who thinks he has won $1 million dollars in a sweepstakes prize. Woody becomes convinced he must walk from Montana to Nebraska to collect his winnings in person. He is slow and fragile; only with the help of his nice-guy son, David, does he manage to begin his journey. Along the way Woody and David visit relatives. 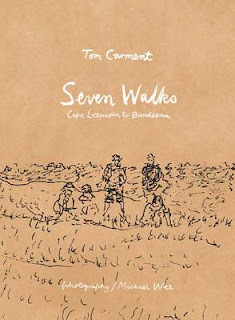 The characters which turn up here (including Woody’s wife and other son Ross, as well as two cousins) seem simple, however, as the film develops it is evident there is a complex undercurrent occurring. Woody’s extended family believes he has actually won a million dollars. It is through these peripheral characters that sit on the edge of Woody’s life that we piece together the man Woody once was. Nominated for six Academy Awards and a Palme d’Or, Nebraska is a film that ultimately instils a quiet sense of greatness through character and a strong sense of place. The Midwest is highlighted for its bleak bareness and it is beautiful. Characters are revealed slowly, so that by the end of the film we know them as people in our own lives. The Movie Club will be screening 'Nebraska' on Wednesday 14 June, 6pm sharp at Narellan Library. Tea, coffee and biscuits provided, BYO snacks are more than welcome. Stay after the screening for a short discussion about the film. See the discussion questions to get some ideas. Book Review: 'The Little Book of Hygge' By Meik Wiking. A small book full of big ideas, ‘The Little Book of Hygge’ is all about finding happiness and cosiness to support your wellbeing. Hygge is a Danish term that roughly means to create an atmosphere or sense of cosiness. ‘You know hygge when you feel it. It is when you are cuddled up on a sofa with a loved one, or sharing comfort food with your closest friends. It is those crisp blue mornings when the light through your window is just right’ (‘The Little Book of Hygge’, Meik Wiking). Author, Meik Wiking, is CEO of the Happiness Research Institute in Denmark, which is commonly known as the happiest country in the world. In his book, Meik shares the knowledge he has learnt about happiness. He believes the Danish concept of ‘hygge’ is the key to leading a happier life. Full of interesting facts, including a Hygge Manifesto, the book covers everything from using lighting to create a more ‘hyggelig’ atmosphere, to the importance of hot drinks and pillows. However, it also discusses the integral role of family and friends and securing a good work/life balance. Jess has it tough—two jobs, an estranged husband who doesn’t contribute any child support, a stepson who gets bullied, a gifted daughter who due to financial difficulties cannot get a top education, and a guard dog that sleeps more than guards. Ed is a successful man living in the city, recently divorced but the owner of two homes and two cars and eats out every night. After a bad business decision Ed is investigated for insider trading. To hang low while his case is sorted he retreats to his seaside home where he meets Jess – his cleaner. From here Jess and Ed’s lives are thrown together out of necessity—necessary because Jess needs to get her daughter to a maths Olympiad in order to win the prize money to get her through private school, and necessary because Ed has realised how bad loneliness is, and is also in need to redeem himself from his own conscious. 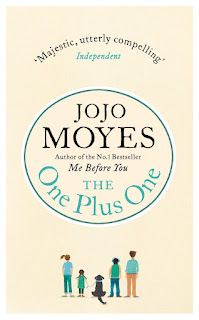 The book starts out as a dysfunctional family drama and slowly ebbs into romance a little bit before the half way point. It’s not soppy romance either, but the kind that seems natural and not forced. This month the Movie Club will be screening 'Happy-Go-Lucky'. Written and directed by Mike Leigh, ‘Happy-Go-Lucky’ is a character-driven film that follows the protagonist, Poppy, as she experiences some ups and downs in her life. Poppy is a 30-something school teacher living in London. She is optimistic, chirpy and happy all of the time, it is not a superficial act, it is just who Poppy is. Poppy lives with her friend and co-worker, Zoe, who acts as a kind of moral compass in a film that combines extreme optimism with extreme pessimism (in the form of Scott). Scott is a narcissistic driving instructor whom Poppy seeks out for driving lessons. The film relies on a series of events that slowly reveal the characters of Poppy and Scott. There is no major dramatic plot or action sequence, rather we meander through the everyday life of Poppy: as she goes to work and deals with a problematic student, as she converses with a homeless man, as she takes salsa classes, as she visits her younger sister Helen, as she takes driving lessons with Scott. It is through these sequential shots of Poppy’s life that we build-up a knowledge base that reveals layers of Poppy’s character. Dramatic tension is maintained throughout by the relationship between Poppy and Scott. The film is interesting not only for its character study of Poppy, but also its depiction of gender and stereotypes. Most of the characters in the film are female, except for Scott and Tim. Tim is only a minor character, and Scott is presented as aggressive, impulsive and an unlikeable male. The lead character here is Poppy, the film is Poppy’s film, and there is no male counter-part that she ever needs to rely upon. To add to this, Poppy defies the norms of female happiness; rather than gaining a sense of meaning from a man, children or family, Poppy sources fulfilment from things such as work, flamenco dance classes, trampolining, and friends. Nominated for an Academy Award, the film is funny and light, yet full of wise lessons and deep emotion. 'Happy-Go-Lucky' will be showing on Wednesday 8 March, 6pm at Narellan Library. Tea, coffee and biscuits provided, BYO snacks are more than welcome. Stay after the screening for a short discussion about the film. 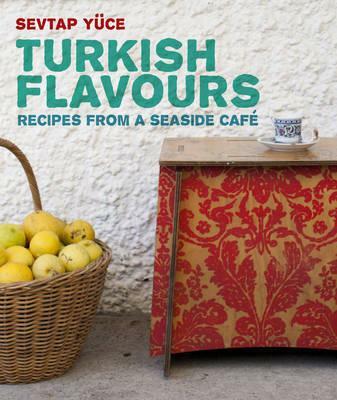 Written by Turkish chef, Sevtap Yuce, who grew up in Turkey and now lives and owns a restaurant in Australia, 'Turkish Flavours: recipes from a seaside café' consists of classic Turkish dishes with an inspired modern feel. The book is organised into chapters according to dish type, and include chapters on Mezze and salads. The recipes are easy to read and simple to follow. The book also contains beautiful images of food that will make you want to start cooking right away. You will find traditional dishes such as koftes, menemen and dolmades as well as yummy sweets such as baklava and yoghurt and olive oil cake. This is for anyone interested in Turkish cooking, or simply tasty food. Mark Williams, author of Mindfulness : A practical Guide to Finding Peace in a Frantic World. Ruby Wax is a comedian and TV writer who holds a Master's degree in Mindfulness- based Cognitive Therapy from Oxford University. She has recently been awarded an OBE for services to mental health. "Discover the magic inside you. Read this book!" What will I do with my Life? Maya offers inspiration and a hands on guide to help you find your passion. You are shown how to turn your passion into action, and how to find your place in the world. This month the Movie Club will be screening ‘Magnolia’, directed by Paul Thomas Anderson and starring an ensemble cast that includes Tom Cruise, Philip Seymour Hoffman, William H. Macy, John C. Reilly and Julianne Moore. ‘Magnolia’ tells the story of multiple characters living in LA over the course of one day. These characters each have their own problems but the overarching schema of the film is that their lives coincidentally intertwine. 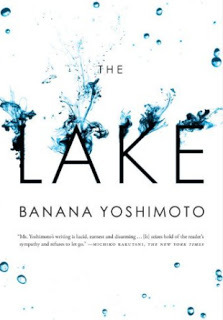 The connections between these characters provide space to deconstruct universal themes of forgiveness, regret, death, fear of failure and failing relationships. The film opens with a series of coincidences and it is this which sets the tone for the entire film; as the film states: ‘…These strange things happen all the time.’ Characters are caught up in their own lives and their own problems, this is highlighted by the episodic rhythm of the film—moving from one character to another—and seeing how unaware each is of the people so near to them. The film plays with the idea of coincidence—how we can never really plan or prepare for anything in life. Director Paul Thomas Anderson is making a statement here, the epic-ness of the everyday. ‘Magnolia’ was nominated for two Golden Globes and three Academy Awards. 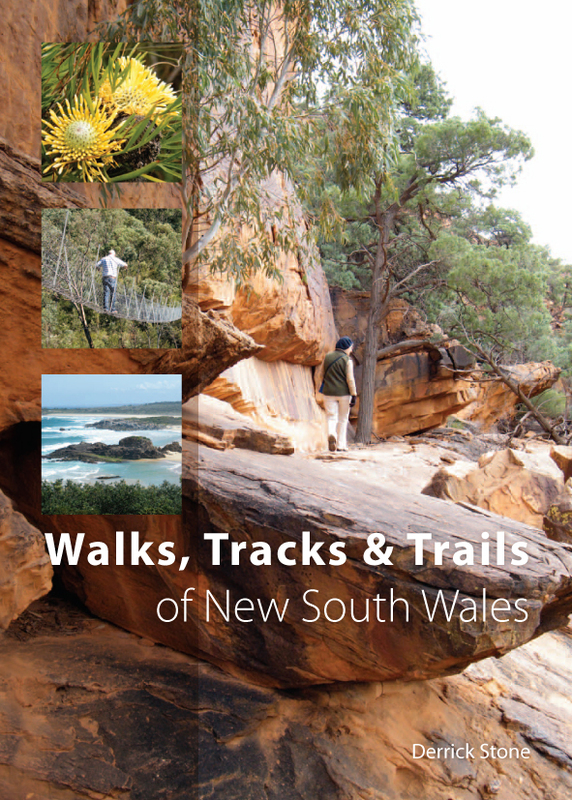 The film will be screened on Wednesday 8 February at 6pm at Narellan Library, Corner of Queen and Elyard Street, Narellan. Tea, coffee, and biscuits provided, BYO snacks are more than welcome. Stay after the screening for a short discussion about the film. *Please note this film is rated MA15+ and contains strong coarse language and themes. In her latest book New York Times bestselling author Gabrielle Bernstein teaches readers how to turn their fear into faith in order to live a wonderful life. In The Universe has your back each story and lesson guides readers to release the blocks to what they most want in life : happiness, security and clear direction. From the same director Gary Marshall who produced Pretty Women and Valentines Day. Starring Jennifer Aniston, Kate Hudson and Julia Roberts. Starring Kate Winslet, Judy Davis, Liam Hemsworth and Hugo Weaving. Winner of 5 AACTA Awards. 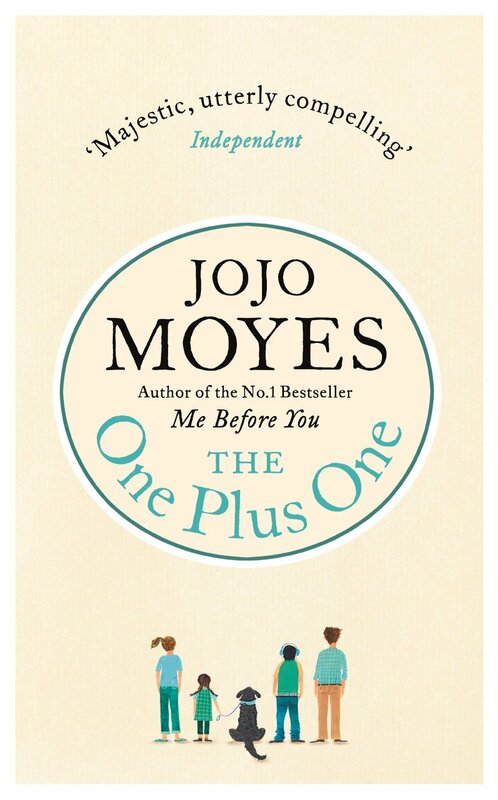 "Funny, poignant and full of heart.... destined to be an Aussie classic"- The Australian Women's Weekly. 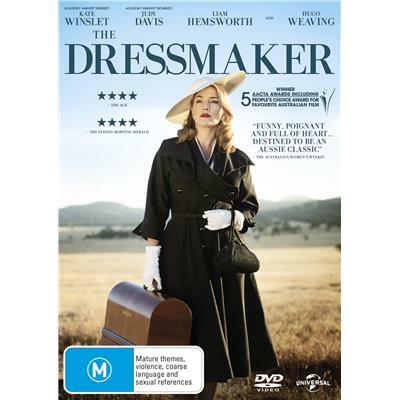 The Dressmaker is a story about a beautiful young lady Tilly Dunnage who after years of working in Parisian fashion houses, returns home to a small outback Australian town. Using her style and charm she transforms the women of the town, deals with a past tragedy and falls in love along away. 'Malala is an inspiration to girl's and women all over the world' J.K Rowling. Malala fought for her right to be educated, and payed the price when she was targeted by the Taliban on the way home from school one day. In I am Malala surviving against all the odds has made her an international symbol of peace and the youngest ever winner of the Nobel Peace Prize. This month the Movie Club will be screening ‘On The Waterfront’, starring Marlon Brando and Eva Marie Saint, and directed by Elia Kazan. Filmed in 1954 on location in the docks of New York, the film is a gritty look at the lives of the dock workers, mobs and unions. The film is based on the true stories reported by American investigative journalist Malcolm Johnson in his series Crime on the Waterfront. It is also important to note that while the film is based on Johnson’s investigative reports, the film can also be understood as a justification for Elia Kazan (the director) in his real-life decision to testify against his friends who were involved with the Communist Party. Combine these two layers of real-life inspiration and you get ‘On The Waterfront’. Therefore the political agenda is clear in the film and is highlighted through the character of Terry Malloy (Brando) and his underdog status. Terry Malloy is an uneducated dock worker, tough and tender at the same time, who is unknowingly used to facilitate the death of Edie’s (Eva Marie Saint) brother who has disobeyed union bosses. This makes Terry question himself and question the status quo. This leads him to be the voice of the dockworkers and to stand up against the mob and the crime riddled docks. ‘On The Waterfront’ won 8 Oscars and impacted the way movies were made and the way actors acted—a move towards realism. The film follows a traditional story-telling structure where the hero (Terry Malloy) wins out against all odds and this is where it falls short. For all its realist depictions, the conclusion wasn’t subversive enough—things turned out all too well for Terry to fit into the realism genre the film sets up. Nonetheless the film has a punchy dialogue and strong characterisation which has made it a classic American film. The film will be screened on Wednesday 11 January at 6pm at Narellan Library, Corner of Queen and Elyard Street, Narellan. Tea, coffee, and biscuits provided, BYO snacks are more than welcome. Stay after the screening to share your thoughts about the film and join in a discussion about the film. 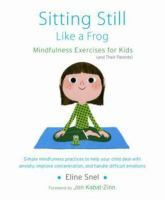 Mindfulness made Simple shows you how to bring mindfulness and meditation into your daily life. Mindfulness is widely recognised for its calming, healing and restorative effects. This book contains a step by step guide to your first meditation plus a further 5 basic and 8 advanced meditations to deepen your practice.